When you get roundly denied for the presidency of the United States despite multiple attempts, naturally your next step is to… run for Mayor of New York City? If she had any grace, Hillary would recognize that she’s not wanted/needed in politics and would simply retire and live out her life in luxury. Of course, that’s not an option for people who are so desperate for power that they’re willing to do anything to get it. It shouldn’t be shocking that one of the most liberal cities in the United States wants Hillary Clinton to be their mayor, but for some reason I’m still unable to comprehend it. Why would they want a loser? 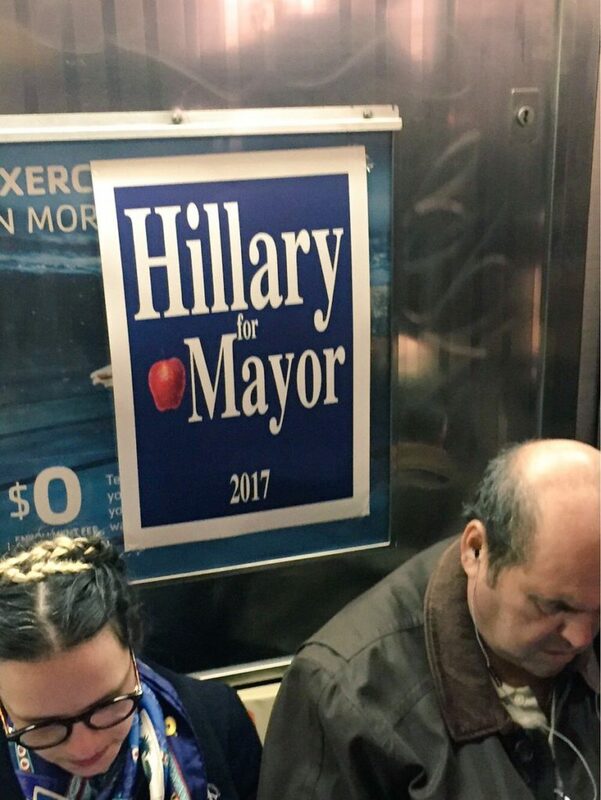 Someone is making “Hillary for Mayor” signs and plastering them around New York City, several photos posted on Twitter show. Alternet’s Alexandra Rosenmann posted several other examples. 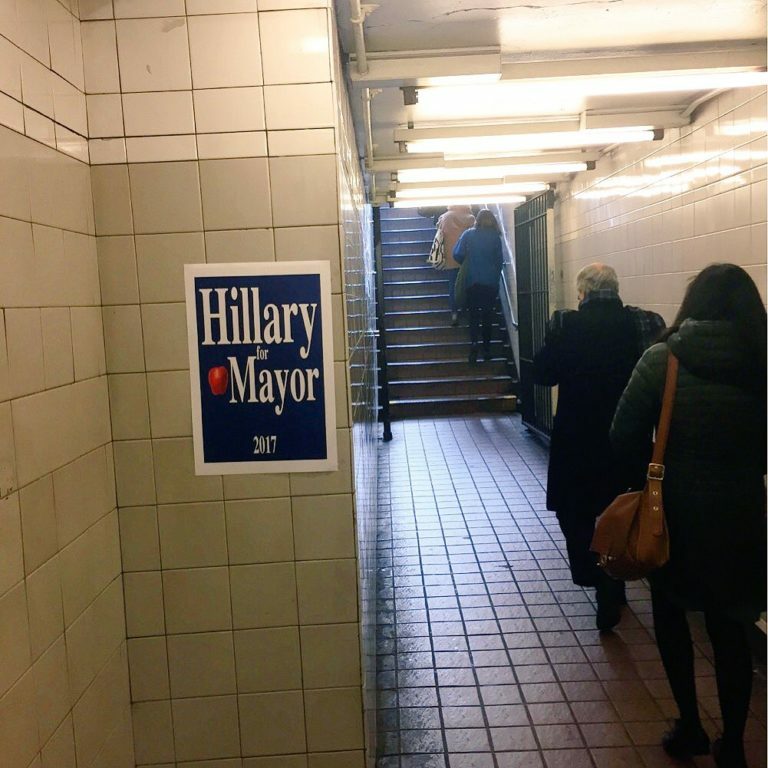 Now I realize that New York City isn’t exactly where one goes for common sense, but I’d like to think that most people there are smarter than to actually vote for Clinton. Don’t you have a sufficiently liberal progressive mayor right now? Why mess with the system? 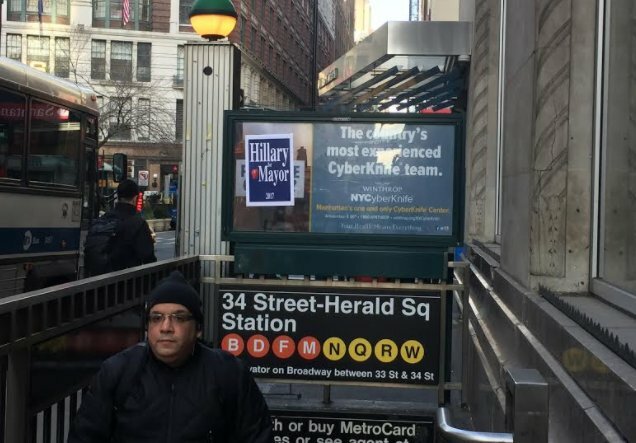 It’s not clear who’s posting the signs to create a pro-Hillary buzz. But a January poll found Clinton would trounce Mayor Bill de Blasio in a hypothetical match up. 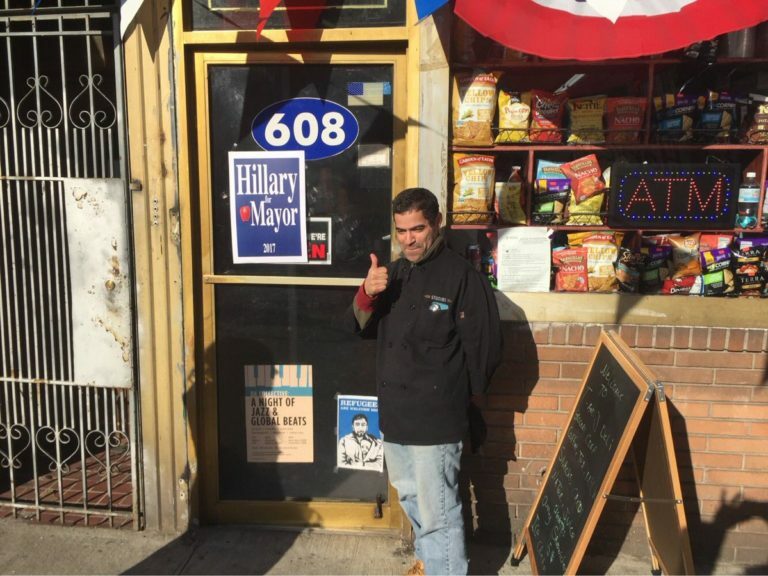 “…Hillary Clinton, running as an independent, tops incumbent Bill de Blasio, running as a Democrat, 49 – 30 percent,” a release for a Quinnipiac University Poll of city voters said. “In the Clinton – de Blasio matchup, Clinton leads 61 – 29 percent among Democrats and 45 – 31 percent among independent voters. Republicans back de Blasio 28 – 18 percent. She leads among men and women and black, white and Hispanic voters. She also leads in every borough except Staten Island, which goes to de Blasio 28 – 22 percent,” according to Quinnipiac. “New Yorkers aren’t in love with Mayor Bill de Blasio, but they seem to like him better than other possible choices – except Hillary Clinton, who probably is an impossible choice,” said Tim Malloy, assistant director of the Quinnipiac University Poll.